Check out the rock in Tyler’s hand. Ha ha ha he wouldn’t put it down for these pictures! 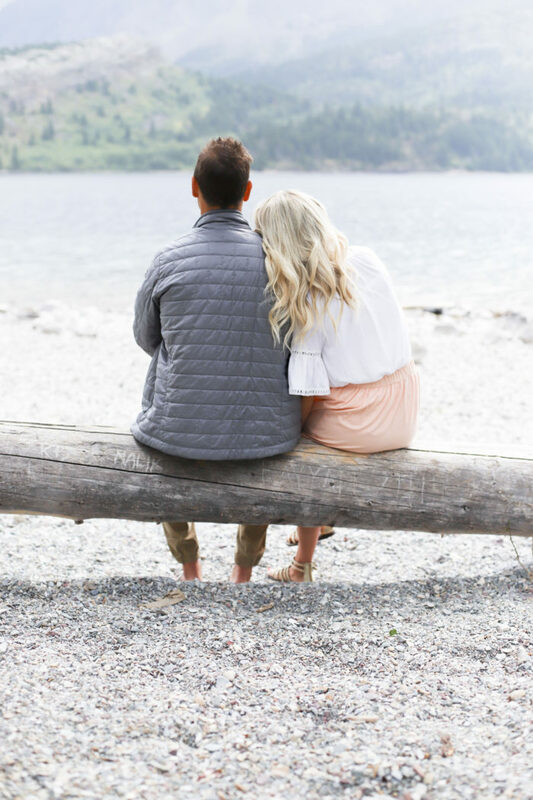 I have been thinking about this post for months and really wanted to put a lot of time into providing the best feedback about how to keep your marriage strong through infertility. 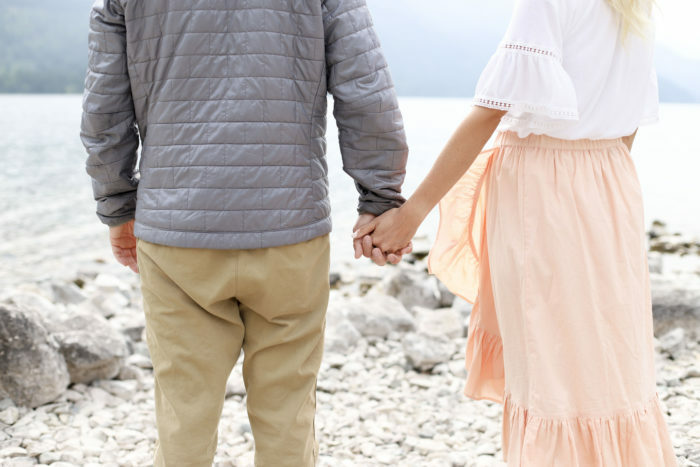 I have received many sweet emails from women, and I know that there are many more out there that have not reached out, that may be struggling with this and want to do the best that they can to maintain a strong marriage. It can be really draining! Tyler and I grew closer during our infertility struggle, and I’ve really thought hard about why that is. What made us closer? What did we do to grow stronger? After talking with him, below is what we came up with. Honestly, I owe most of it to him! Laughter. This was completely essential to maintain our sanity on a day to day basis! I remember one time, sobbing and saying, “I don’t even want a stupid baby, anyway!” It was on our 6th fertility treatment, right before he was about to give me a huge shot in my bum. I was so sick of doing these shots over and over again. It was exhausting. He pulled out my iPad and googled “cute babies” and flipped through the images. He found a particularly cute baby and said, “okay, look at this baby. You want one of those right? !” I couldn’t help but laugh! It turned the whole mood around and I was able to do the shot and move forward. We still had fun together and seeing him help me get through this difficult time with one of his cute jokes brought us closer. Try to make you spouse laugh and their whole world feels lighter. Remember that just because you’re struggling with this trial doesn’t mean you can’t find joy in other places! You are entitled to feel joy. That’s a big part of life, and you can be sad because you are struggling, but that doesn’t have to overshadow the joy you may feel because of something you love. I remember at times I would almost feel guilty about feeling bad sometimes, and then I would remember, “THIS IS NORMAL. YOU ARE A HUMAN.” Of course I felt sad at times. We get to experience all emotions, and joy can also come amidst a trial. Be patient with your spouse as they experience these emotions. Be kind. They may be having a happy day and you’re not, and that’s okay. They may be having a sad day and you’re not, and that’s okay! Patience will help your spouse get through it a lot easier and honestly, a lot more quickly too! I know you are probably seeing a theme here, but HAVE FUN! When I was completely exhausted, both emotionally and physically, Tyler and I bought dirt bikes. Yes, me! We had a blast. We would go out almost every weekend and go exploring together. It was so much fun! Since we have had babies, we haven’t gone once, and we knew that once we did have children that it would be much harder to fit it in, so we enjoyed what we could do so easily then! We went to a lot of movies and just enjoyed time together. You will never get this time back! Think of things you can do for your spouse that will make them happy. We release ourselves from so many negative emotions when we focus on the needs of others. Make their favorite meal, surprise them with a little note under their pillow. The littlest gestures in life most often make the biggest impact. 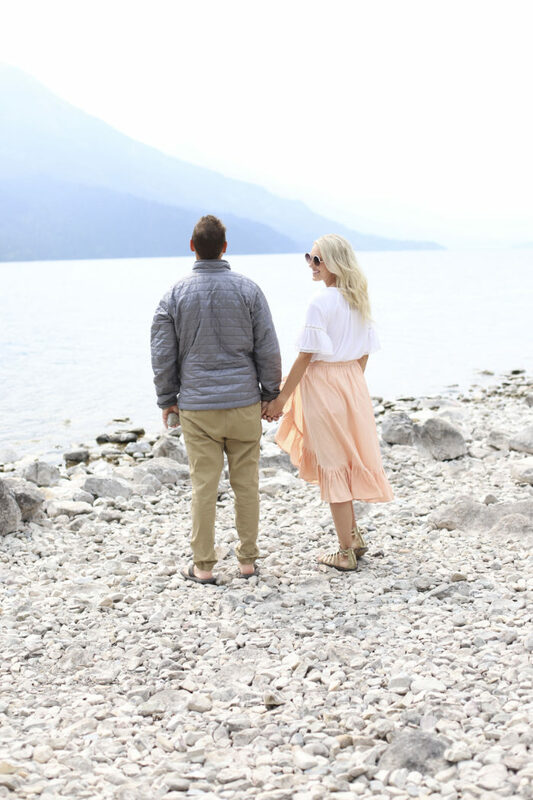 There is an infertility tab at the top of my blog that is broken down by the beginning, our whole 3rd round of IVF, twin pregnancy and birth story. You can also click here to see the most recent posts. This is what we did on the IVF cycle that worked where we got Harris and Goldie. I know that if you are currently struggling with infertility, you will have some dark days. What helped me a lot was also remembering that I didn’t want to look back on my life and regret not cherishing each day and enjoying each phase of my life with Tyler. I knew that life would happen whether I worried about it or not. Worrying gets us nowhere but stuck and miserable! I hope this helps you grow closer to your spouse through infertility, or through any struggle you are going through. I have a post here that talks about what I do each day to be happy and positive, as well. SO much love you, friends!